I read this article and found it very interesting, thought it might be something for you. 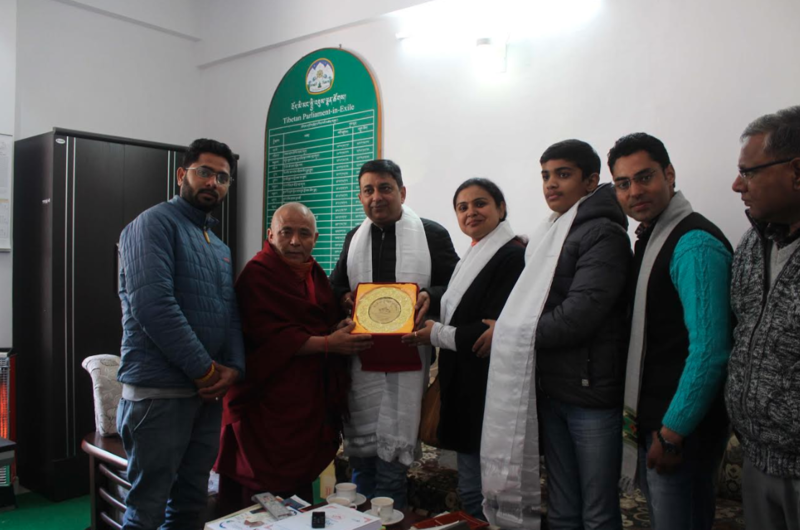 The article is called News 18 Haryana, Editor Mukesh Rajpoot visits Tibetan Parliament and is located at https://tibet.net/2019/02/news-18-haryana-editor-mukesh-rajpoot-visits-tibetan-parliament/. Deputy Speaker Acharya Yeshi Phuntsok briefingMukesh Rajpoot, Editor, News 18 Haryana. 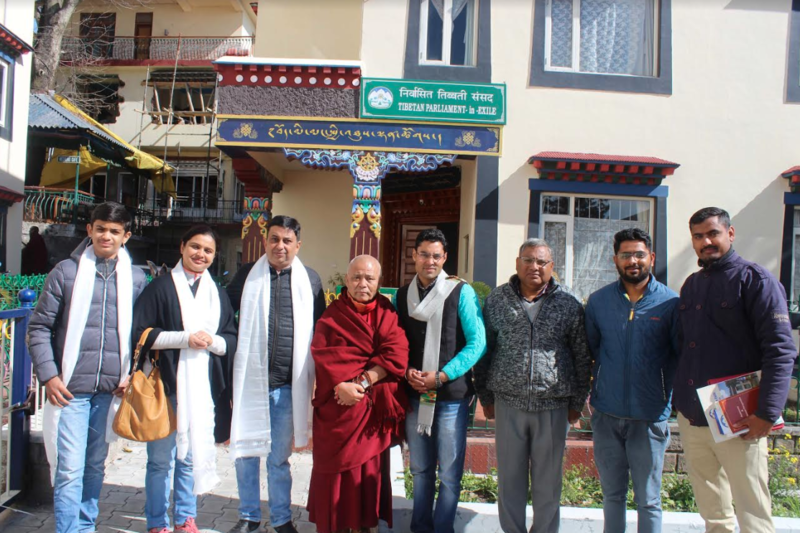 Dharamshala: Editor of News 18 Haryana, Punjab and Himachal Pradesh, Shri Mukesh Rajpoot along with official staff visited the Tibetan Parliamentary Secretariat. Deputy Speaker of Tibetan Parliament-in-Exile, Acharya Yeshi Phuntsok received them and accorded them to the Parliament hall. Deputy Speaker briefed them about the session and composition of Tibetan Parliament-in-Exile. He also spoke about the current situation inside Tibet, the ongoing self-immolations and the Chinese government’s policies against Tibetans. He also talked about the establishment of the Tibetan community by the grace of His Holiness the Dalia Lama and international support, explained the three-day celebration and importance of Tibetan New Year (Tib: Losar), Earth Pig Year 2146. Deputy speaker explained the successful work of Tibetan diaspora, World Parliamentarians’ Convention on Tibet and Tibet Support Groups and Tibetan supporters in the last 60 years. “Tibetan Parliamentarians visit various countries to garner more support for the cause of Tibet. TPiE also hold meetings with national and international media, intellectuals, officials, supporters and Parliamentarians.” He observed that the Editor’s visit to Tibetan Parliament-in-Exile and meeting with Tibetan leaders would be very beneficial for the cause of Tibet. Deputy Speaker requested him to cover Tibet related issue and organise panel discussions to which the Editor agreed to do his best. Finally, Deputy Speaker honored him on behalf of the Tibetan Parliament-in-Exile and Tibetans worldwide. Editor Mukesh Rajpoot has experience of 12 years as a journalist, working with News organisations like Sahara Samay, Voice of India. Presently, he is the Editor of News 18 Haryana and has in-depth understanding of the areas’ history, politics, social issues and culture. Deputy Speaker Acharya Yeshi Phuntsok presents a souvenir to Shri Mukesh Rajpoot, Editor, News 18 Haryana. Deputy Speaker Acharya Yeshi Phuntsok with Shri Mukesh Rajpoot, Editor, News 18 Haryana, staff and family members.